Business hours: 6.30am to 10pm daily. Malay dishes rule, but Chinese, Indian and Western fare also available in its buka puasa buffet. INDULGE your family and friends this Ramadan with an array of mouthwatering selection of buka puasa dishes at Temptations, Renaissance Hotel in Kuala Lumpur. Patrons will definitely be tempted to try each and every dish at the buffet tables with a choice of Malay, Chinese, Indian and Western fare. Malay Chef Mohd Ruhizad Muni said Temptations served three hot selections on rotation so as not to bore guests with the same dishes every day. “We prepare different dishes every day so that patrons can have the luxury of choices,” he said. During the media preview, we were served dishes from Hot Selection 1. Sotong Masak Cili Kering Manis. The Malay dishes included Nasi Tomato, Daging Palembang, Kambing Masak Ketumbar, Ikan Bawal Masak Tomato, Sotong Masak Cili Kering Kicap Manis, Udang Lemak Masak Cili Padi, Sayur Lodeh and Pucuk Paku Sambal Belacan. The Malay dishes served are mostly the traditional dishes which are always a delight to have especially during the fasting month. The dishes are not too spicy and can be enjoyed by all ages. If you are not into Malay fare, try the food at the Indian Station with its Khema Biryani, Chicken Malai Tikka, Chana Masala, Goan Curry Fish, Alo Simla Mich and Vegetable Pulao. Notably, the dishes can be taken with both Nasi Tomato and Nasi Putih which are served at each station. 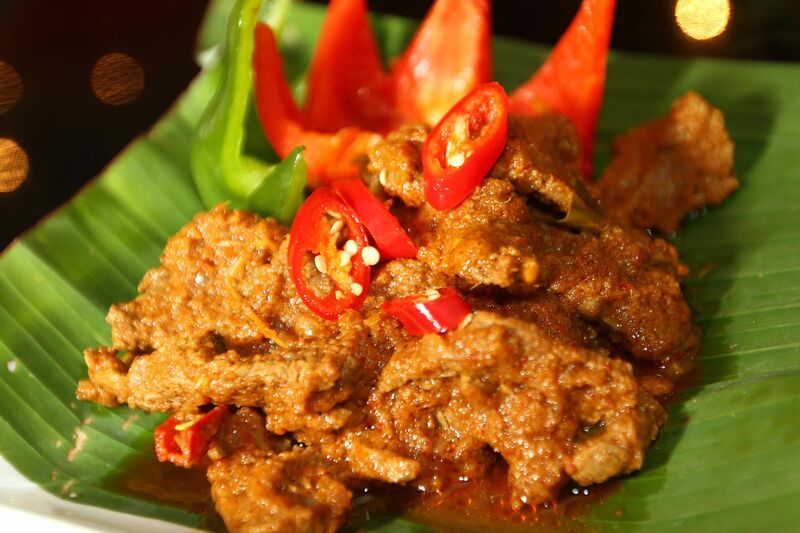 If the Malay and Indian food are too heavily spiced, patrons can opt for the Western and Chinese dishes. The Western Station included Grilled Chicken Leg and Fresh Herb and Juice, Grilled Asparagus and Sauteed Mixed Mushroom, and Grilled Minute Black Pepper Sauce. The Western selection is a bit bland, so mixing it with either the Malay or Indian dishes would be a good idea. 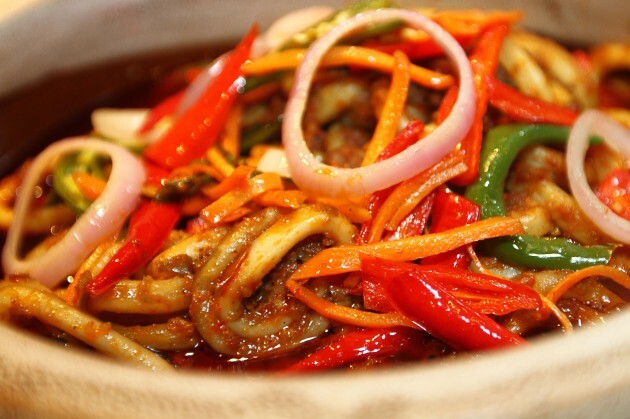 For a different taste, try the Chinese fare with a selection of Wok Fried Glass Noodle with Seafood, Stewed Mustard Plant with Crab Meat, Sweet and Sour Prawn with Fresh Fruits, and Wok Fried Squid with Dried Chilli and Cashew Nuts. There will be two types of soups on daily rotation and we had a chance to try their Asparagus Soup and Sup Ekor.The soups were a bit salty to my taste but tasted great when dipped with a bun. Other soup choices are Pumpkin Soup, Carrot Soup, Broccoli Soup, Potato and Bean Soup, Forest Mushroom Soup with Croutons and Cream Corn Chowder. There are also the Malay soups such as Spiced Chicken Soup, Vegetables Soup with Mushrooms, Lamb Soup with Potatoes, Soto Ayam Madura, Sup Singgang Ikan with Mushroom, Tomyam Seafood and Shrimp Tomyam with Mushroom. 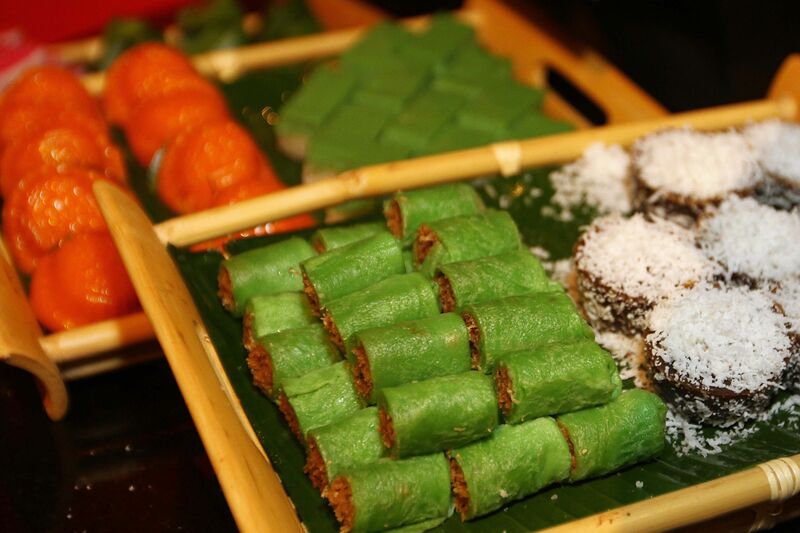 A A selection of traditional Malay kuih such as Kuih Ketayap, Kuih Talam, Seri Muka and Kuih Kasui await patrons at Temptations. Every evening, there will be two types of Malay bubur served from an array of Bubur Jagung, Bubur Pulut Hitam, Bubur Kacang Merah, Pengat Keladi, Pengat Pisang, Bubur Cha Cha, Serawa Durian, Seraw Pulut Nangka, Bubur Kacang Hijau with Durian and Bubur Gandum. Save the best for last as the dessert table is certainly a great way to end your buka puasa experience here. With a sumptuous spread of Nyonya and Malay kuih such as Seri Muka, kuih lapis, pulut panggang, kuih bakar, wajik and many others, patrons will be spoilt for choice. Not only the traditional kuih are served, sweet treats such as Chocolate Cake, Tiramisu and Pavlova are also available. The Temptations’ Iftar Buffet is priced at RM108++ per person and half price (RM54++) for children aged six to 12 years old. A special price of RM88.16 nett per person can be enjoyed during the last week of Ramadan, from July 24 to 27.